Today we are leaving Kosovo after nearly a year of living in Mitrovica. There are many aspects of life here, we know we will both miss. But, now it’s vacation time. Five weeks, ten countries. See you on the other side, USA! It’s a really nice route for the beginning of the vacation! At the end of June it might be already crowded and with crowded I mean it literally. So if you do not enjoy crowds of tourists you better go really fast through Dubrovnik – it is a wonderful city, but it might leave negative recollections because claustrophobic atmosphere during holiday in there ; ) Anyway I truly recommend you the coast of Slovakia, which I’ve seen as well, about one month ago 🙂 And you should see Montenegro as well!!! Thanks for taking the time to check out our blog! We’ve already started the trip and so far the crowds aren’t bad. We aren’t actually going to Dubrovnik (I’ve been before), but are staying farther north in Croatia. 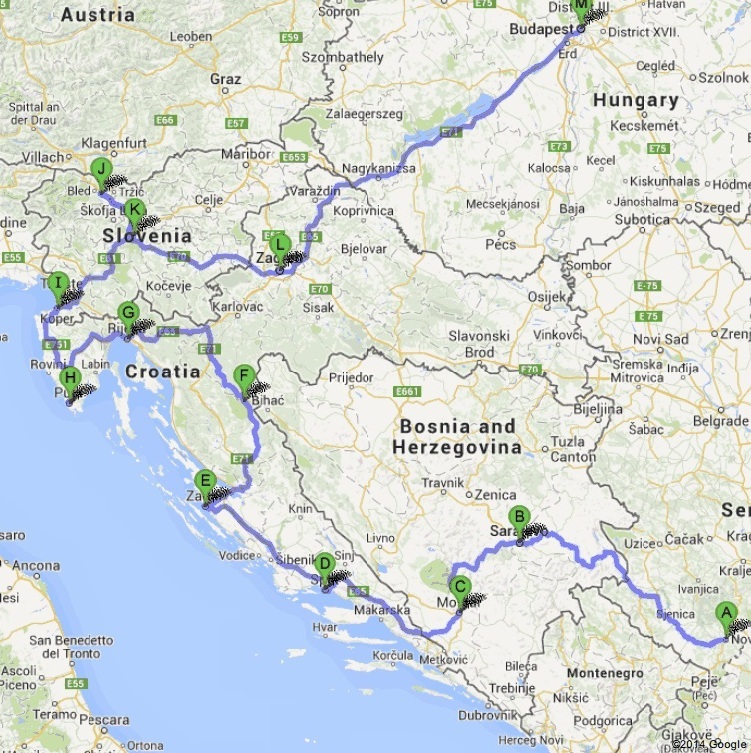 And we are planning to stop along the Slovenian coast (Slovakia doesn’t have one last time I checked). We’ve been to several spots in Montenegro before and absolutely loved it. You can check out some of the photos from our recent trip to Kotor, Montenegro.